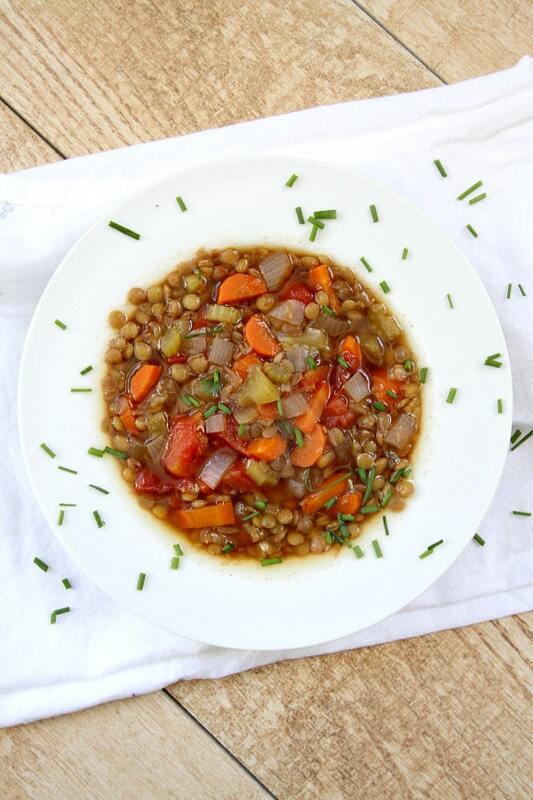 Of the zillion soup recipes I’ve been trying this winter, this easy lentil soup recipe is my favorite. I’m pretty sure I’ve said that about every soup recipe I’ve made, but I seriously love this one. 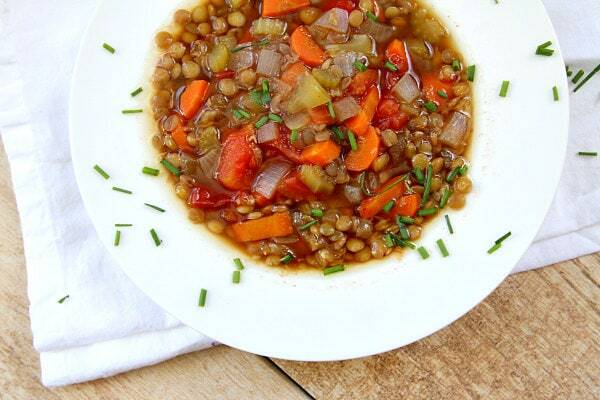 The lentils are healthy and filling. It’s the perfect soup to make on a Sunday afternoon, and store in the refrigerator for the week to scoop out a cup for lunch each day. 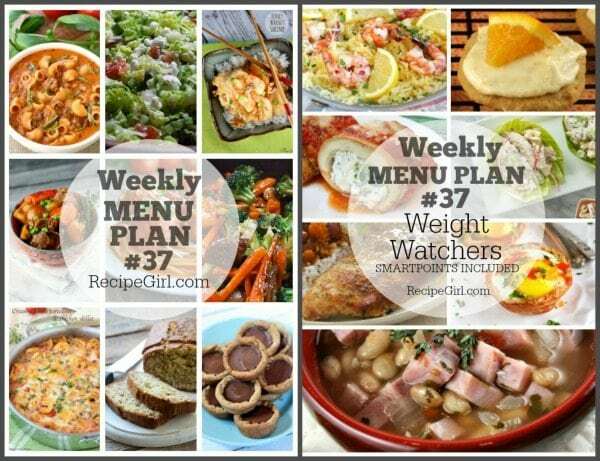 This soup is Weight Watchers friendly too. 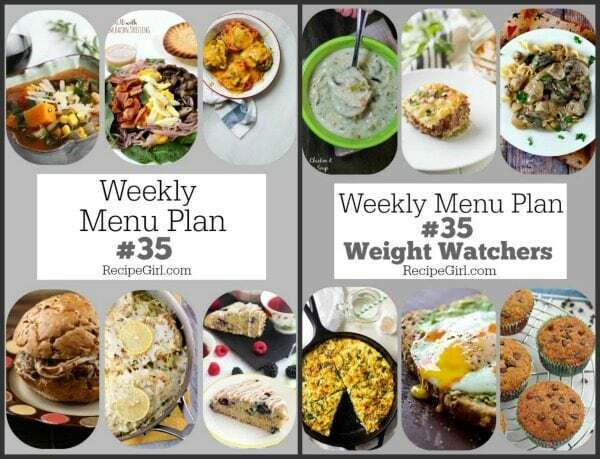 One serving is almost 2 cups- 261 calories and 6 Weight Watchers SmartPoints. I’ll be making this one again and again! 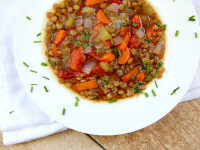 In a large pot, combine the broth, lentils, carrots, onions, celery, and bay leaves; bring to a boil. Reduce the heat, and simmer, covered, stirring occasionally, until the lentils and vegetables are tender (about 30 minutes). Add the tomatoes (with juice), vinegar and pepper. Add the water (amount depending on how much soupy broth you desire). Cover and cook, stirring occasionally, until the flavors have blended, 10 minutes. Sprinkle individual servings with chives, if desired. If you are preparing this recipe as GLUTEN FREE, just be sure to use a brand of beef broth that is known to be GF. You can actually add all of the tomatoes from the can, if you’d like… since tomatoes are zero points on the Weight Watchers SmartPoints program. I’ve been on a mission to make soup once a week– every single week– this winter! 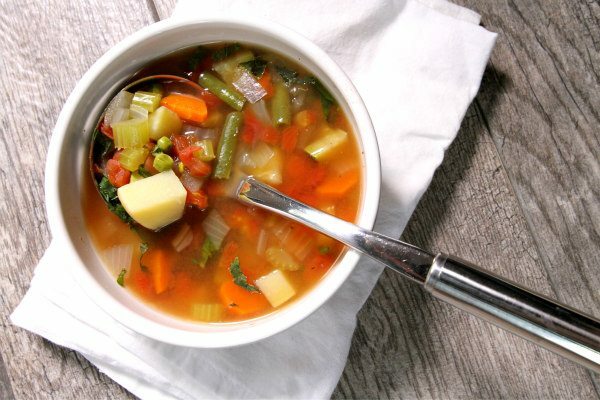 This week I made a very easy vegetable soup- with mostly fresh vegetables inside. There’s a bit of potato in there, so it turns out to be filling. I love eating soup for lunch every day!